Rising of efficiency of the main technological equipment for aluminum profile production. The production complex consists of an extrusion press and a gas tunnel-type furnace with a conveyor. The removal from the furnace and the transportation of the hot blanks to the extruder is performed by a mechanical devise consisting of a grip and a sloped chute. The technological complex is designated to work with small in volume, but often changing orders. Increased heat losses influencing the extrusion process – in some cases it is necessary to return the blank in the furnace. This leads to losses due to downtime of main equipment and additional costs for repeated heating. 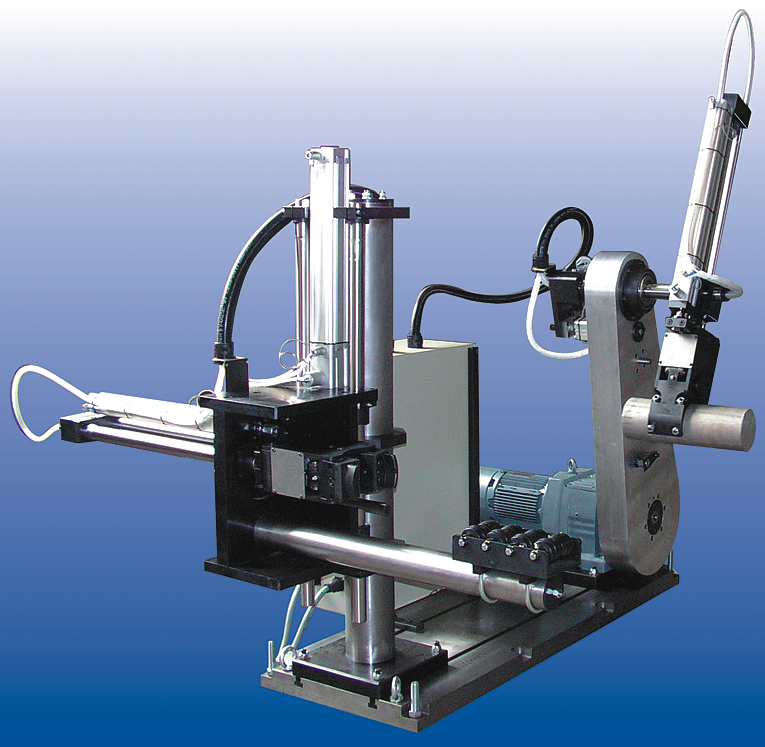 The positioning system developed by us is autonomous equipment consisting of two synchronous-operating manipulators. Superposing of all auxiliary times with the extrusion time. After the commissioning of the positioning system developed by us the efficiency of the main technological equipment reaches near 100% of its production capacity decreasing the energy consumption by more than 10%. The developed automation solution achieves further economic effect because it makes not necessary the reconstruction of the main technological equipment leading to losses from production downtimes and need of additional investments.